Westfield Liverpool is set to receive a $93 million revamp after owners Scentre Group submitted plans that will include an 8-storey commercial tower and new entertainment precinct. The 84,000sq m centre has undergone a number of extensions and improvements over its 48 years, with the latest poised to add 5,500sq m of additional retail space as well as 11,000sq m of commercial space. If approved, construction would involve a new entrance to the shopping centre and significant improvements to parking. 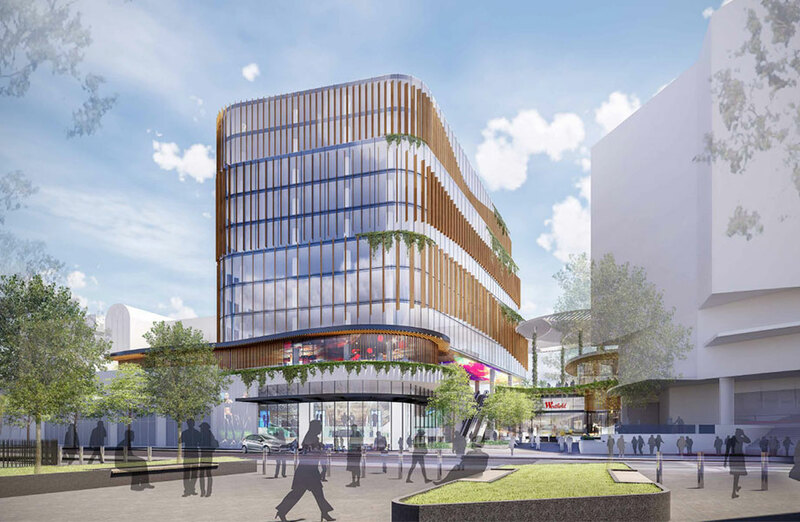 The proposed commercial tower will include ground floor retail while the new entertainment precinct would feature new dining options as well as a reconfigured cinema. A Scentre Group spokesperson said that the group had consulted with customers and local Liverpool residents about what was important to them at Westfield Liverpool. The centre, which sits 32 kilometres south-west of the Sydney's CBD, is part of the group's broad portfolio which boasts 99.5 per cent retail occupancy. The delivery of a new commercial premises will also "provide space for the expanding Liverpool business community". With many retail landlords continue to grapple with rising costs, subdued consumer confidence and decreasing foot traffic due to online shopping, Scentre has pushed to diversify Westfield Liverpool's offerings. Scentre competitor Vicinity Centres downgraded its $15.8 billion portfolio by 0.2 per cent, a decline of $37 million over the six month period. The write-down, the first time Vicinity has done so since it listed in 2011, came amid a challenging retail environment, with cautious consumers worrying about sluggish wage growth and a seismic shift in shopping habits.